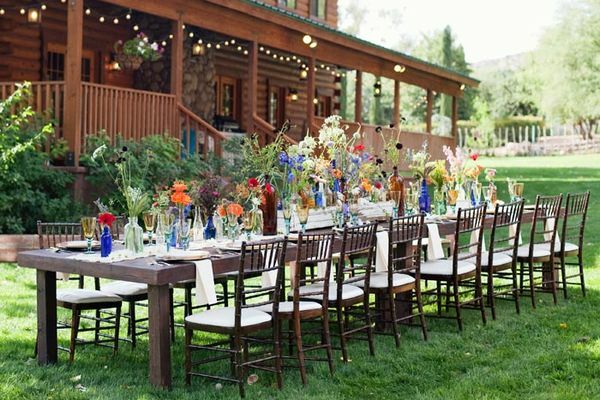 We love the idea of incorporating rustic and vintage looks into a wedding: a touch of “something old” here or there adds a lot of charm to your big day… and if the project is refurbishing gently used items, then costs will certainly stay down! 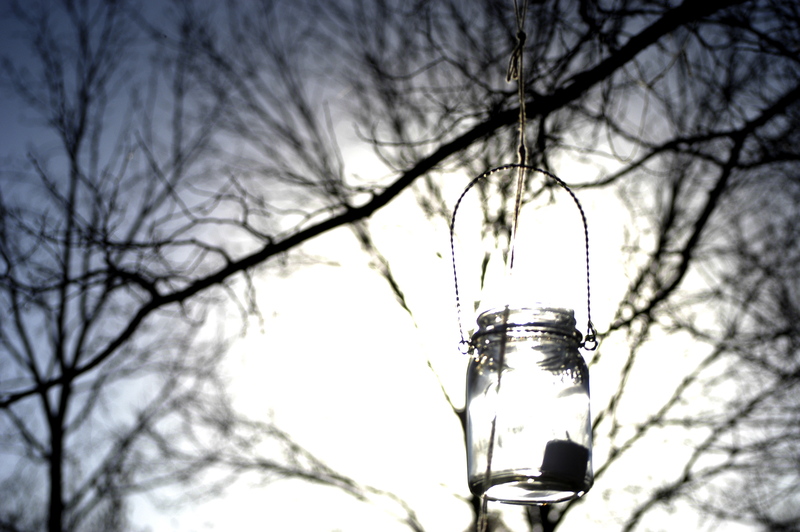 We came up with a few fun, inventive projects to inspire our future brides. 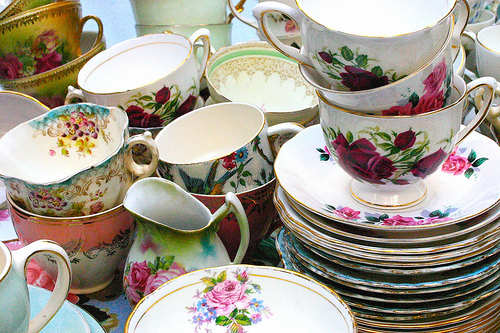 A fun, quirky idea for a table setting is to use old, mismatched teacups and saucers. We love the idea of a table set with these beautiful pieces, which can be picked up for a few dollars at any antique store. 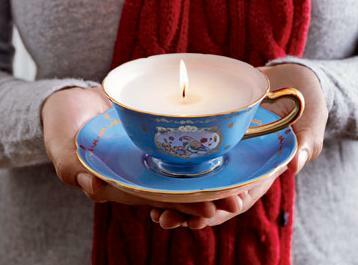 They can also be used as a party favor for each guest by pouring wax into each tea cup as a unique candle gift. 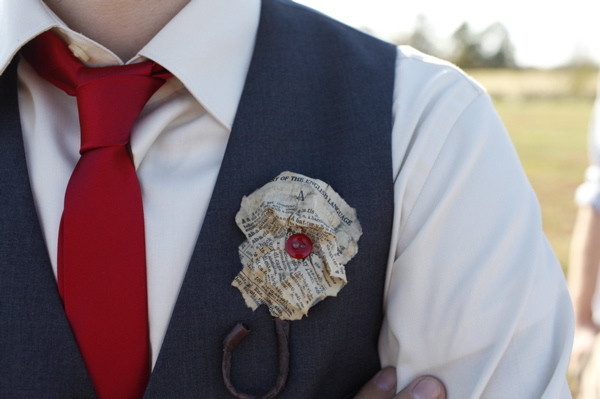 Instead of the traditional boutonniere with cut flowers, use paper from old books (you can pick one up at a thrift store for pennies! ), making the project both cost-saving and eco-friendly. Any old pillow can be recovered with burlap and then finished off with lace for this fun, country-inspired ring bearer pillow. 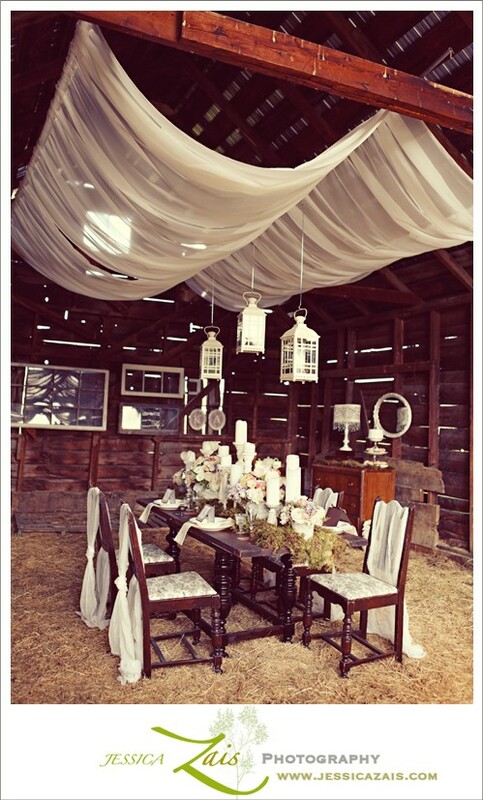 It is a perfect touch for a summer wedding with a country feel! Not a crafty bride? 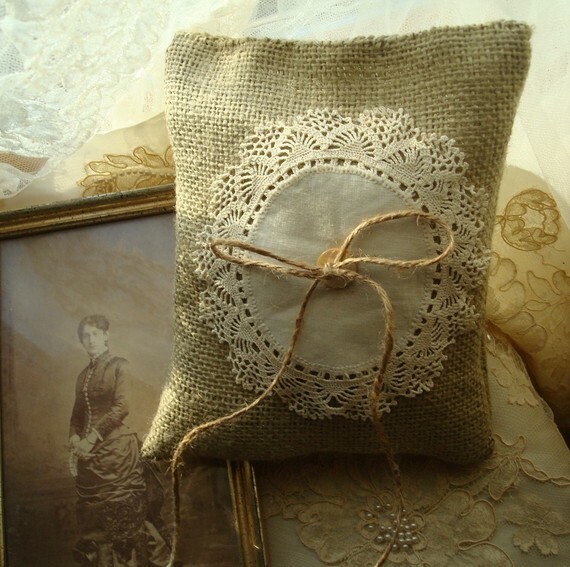 Grace Art and Antiques from Etsy.com sells beautiful ring bearer pillows made from burlap and lace. 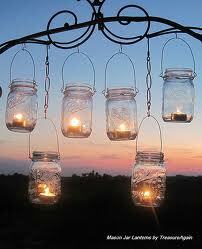 Mason jars add a touch of home and comfort to any event, and can be purchased very cheap. Fill them with fresh stems or tea lights, then hang them from eaves or sprinkle them throughout the wedding and reception sites for little country touches here and there. After the wedding, use the jars for canning homemade treats, or stock up on them in your kitchen and channel your inner Southerner with some sweet tea! 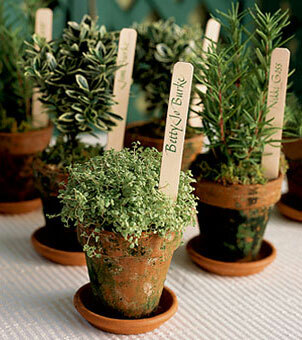 Instead of a table runner, use moss to decorate your tables for a romantic feel. Purchase the moss yourself and then sell it to a party store after your big event, or save it for future soirees that channel the feelings of romance and the outdoors. We love this one from Bragging Bags on Etsy. Moss can also be used as an alternative for the traditional ring bearer pillow, incorporated into boutonnieres, corsages and bouquets, or as centerpieces or wedding favors, like with this fun DIY project from Project Wedding. 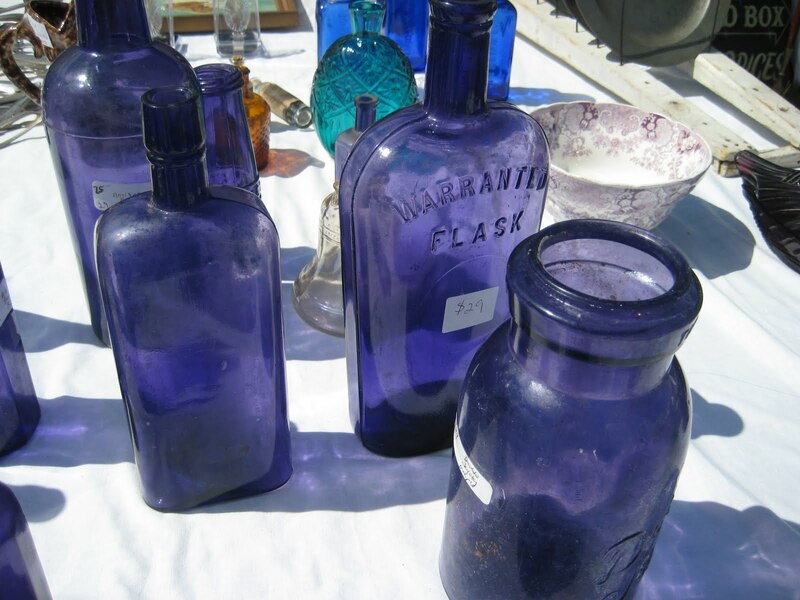 From Dianne Zweig "The Kitchy Collector"
Collect old bottles from flea markets and thrift stores to use as table décor: a simple stem in each is an adorable addition to any table. For added color, mix 1 cup of water with 4 cups of paint and dip the bottom of the bottles into the mixture: after they dry, use a wet cloth to remove paint and make designs in the bottles (since you added water to the paint, it will come right off with a wet cloth). 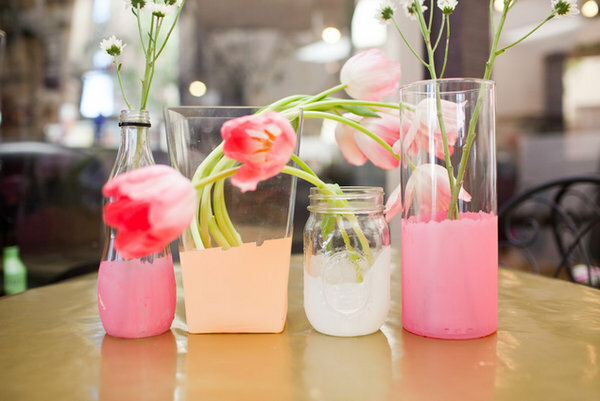 Who says you always have to use cut flowers for your wedding decor? 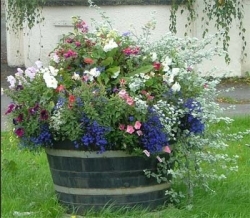 Wine barrels that are cut in half make great planters: set one on either side of your archway for an eco-friendly ceremony decoration and fill them with flowers and ivy. Use potted plants to decorate the aisles and the tables as well: guests can take them home as favors and enjoy their beauty throughout the year! We hope that these ideas inspire our brides to add some creative, homemade touches to their weddings. Best of luck and congratulations to each of our couples who are planning their upcoming spring and summer nuptials!